Three of the new products that just launched in the TransLink Store! Twenty-years ago this month, TransLink began operating with a strong vision: to remain a unique, made-in-B.C. solution, unmatched by any transportation authority in the world. Throughout this week and the rest of the month, we’ll be celebrating our 20th anniversary! Anniversaries are a time to celebrate where we’ve come from, but also how we’ve changed and where we’re headed. That’s why we threw it back to 1999 for the latest line of merchandise in the TransLink Store! We added a 1999 New Look bus model, t-shirt and keychain. This 1954 Canada Car Brill T-44 hit the road again to celebrate the 70th anniversary of Vancouver’s trolleybus network! Happy Tuesday to all our friends here, fellow transit enthusiasts and everyone else! We are back with our weekly feature on The Buzzer blog, #MyTransLink where we publish photos taken and published on social media by you – our customers! Each week, we give you a theme and you share your stunning photos on Instagram using the hashtag #MyTransLink. #MyTransLink aims to capture your favorite thing about Metro Vancouver. This past week, we celebrated the 70th anniversary of our trolleybus network, so we deemed it apt to feature your fabulous photos of the famed trolleybus. A trolleybus-themed t-shirt will be among the new items available at the pop-up shop! Hey Vancouver, this is your transit! A pop-up shop will be popping up at Waterfront Station on August 16, 17 and 18. It’s your chance to pickup merchandise to show off your love for our Metro Vancouver transit system. We’ve added NEW items to our list of transportation-themed apparel for the pop-up shop, including a t-shirt to commemorate our trolleybuses’ 70th anniversary! It’s the 70th trolleybus anniversary on August 16th (follow us on social media – Twitter and Facebook – to know details about a special trolley tour). These cool trolleybus-themed tees will instill a sense of pride and nostalgia in you. August 18th, 1 p.m. to 6 p.m.
Other new merchandise include a baseball hat with the transit ‘T’ symbol and the popular retro SeaBus t-shirts in two new colors. 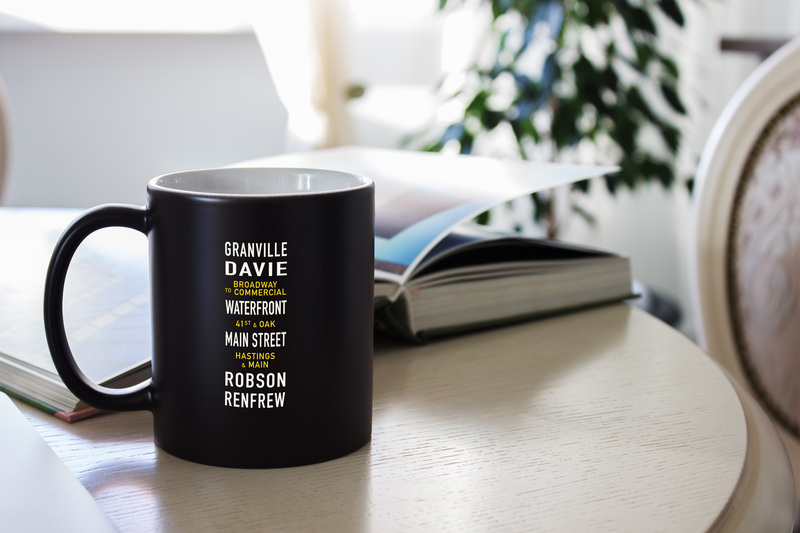 Whether you are a local, or a tourist to Metro Vancouver, our pop-up shop at the historical Waterfront Station is sure to delight you with numerous options. So, what are you waiting for? Book your calendar August 16th to 18th and come see us at Waterfront Station! Be ready to take transit home! Can’t make it? This new merchandise is also available on the TransLink Store where all orders now ship from Metro Vancouver! This automatic open, folding umbrella features a navy exterior with the transit T logo and colourful Vancouver bus system map interior. Take Transit Home. TransLink launches first ever merchandise store with a giveaway! You’ve asked, and we’ve delivered! Starting today, Metro Vancouverites, transit enthusiasts, and tourists alike can take transit home… Literally!